Tolle, Lege! | Here's where I write about some books I read. There is no month in the whole year, in which nature wears a more beautiful appearance than in the month of August. Spring has many beauties, and May is a fresh and blooming month, but the charms of this time of year are enhanced by their contrast with the winter season. August has no such advantage. It comes when we remember nothing but clear skies, green fields and sweet-smelling flowers–when the recollection of snow, and ice, and bleak winds, has faded from our minds as completely as they have disappeared from the earth,–and yet what a pleasant time it is! Orchards and corn-fields ring with the hum of labour; trees bend beneath the thick clusters of rich fruit which bow their branches to the ground; and the corn, piled in graceful sheaves, or waving in every light breath that sweeps above it, as if it wooed the sickle, tinges the landscape with a golden hue. A mellow softness appears to hang over the whole earth. Decision Points: What Movie Should We Watch? “I don’t know, I’ve been thinking about that a lot these last couple days. The book is good so far. The writing is clean, tight, engaging. Very literary. I believe with his education and pastimes (he seems to put a lot of stock in broad reading, anyway) he could write this. I only wonder if time would actually permit him to do so, or if something so calculated as a book run-up to a national election would fly as a personal project. If he doesn’t have a ghost-writer, he’s at least got a darn good editor. I wasn’t sure what to expect from Tony [Blair]. I knew he was a left-of-center Labour Party prime minister and a close friend of Bill Clinton’s. I quickly found he was candid, friendly, and engaging. There was no stuffiness about Tony and Cherie. After dinner, we decided to watch a movie. When they agreed on Meet the Parents, a comedy starring Robert Deniro and Ben Stiller, Laura and I knew the Bushes and the Blairs would get along. Congrats to Deniro and Stiller on the shout-out. 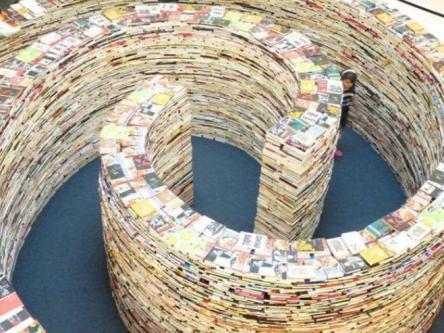 A maze made out of books would have been cool enough. 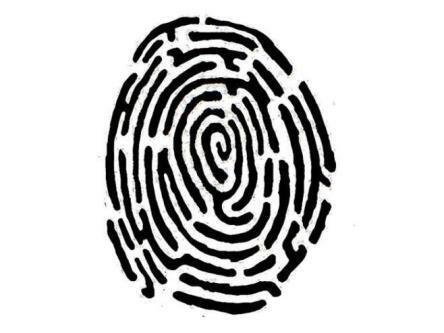 But if I’m interpreting these photos correctly, the maze is based on Jorge Luis Borges’s fingerprint. I may be wrong, but if so, my wrongness is so great! Denial, anger, bargaining, despair–I’m not sure I went through all the stages prescribed by the experts. 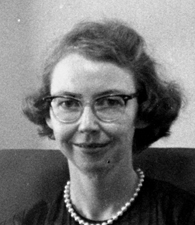 At some point, though, I arrived at acceptance–of my limits, and, in a way, my mortality. I refocused on my work in the state senate and took satisfaction from the reforms and initiatives that my position afforded. I spent more time at home, and watched my daughters grow, and properly cherished my wife, and thought about my long-term financial obligations. I exercised, and read novels, and came to appreciate how the earth rotated around the sun and the seasons came and went without any particular exertions on my part. “Oh, Bertie. Do you read Rosie M. Banks’s novels?” she asked. I was a bit surprised at her changing the subject like this, but equally relieved. A talk about current literature, I felt, might ease the strain. These booky chats often do. I was looking to old good books and good movies. Good literature for inspiration… What I always felt like we needed to do in a third film was, for lack of a better term, go there. All of these films have threatened to turn Gotham inside out and to collapse it on itself. None of them have actually achieved that until this film. ‘A Tale of Two Cities’ was, to me, one of the most harrowing portrait of a relatable, recognizable civilization that completely folded to pieces with the terrors in Paris in France in that period. It’s hard to imagine that things can go that badly wrong. 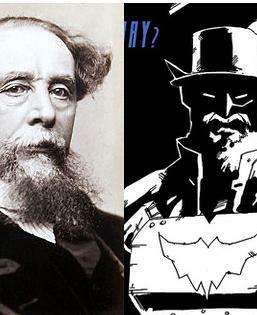 The trailer doesn’t make much of a deal about it, but Christian Bale’s silly facial hair reminded me straight away of some great steampunk imaginings. Sick rap name: Bilbo Swaggins.